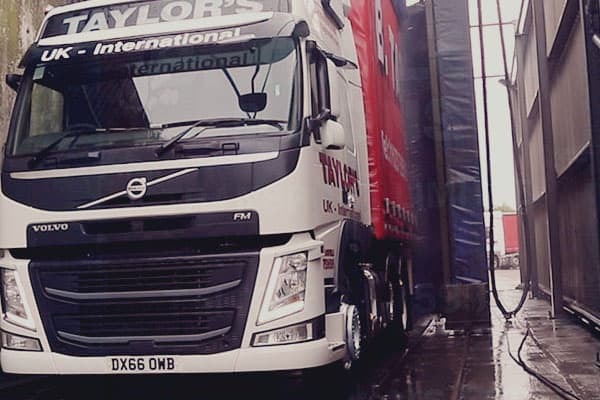 B Taylor & Sons Transport operates two fully equipped workshops to deliver full fleet maintenance and body works services. Staffed by over 20 trained technicians 24 hours a day, seven days a week. We know how important it is to keep you moving and are pleased to offer fleet maintenance services to other operators. Our diagnostic services cover most makes of vehicles. Situated just off J28 of the M1, our truck wash is open to all commercial vehicles and commercial vehicle operators. There is no need to book, just turn up and wash. Contact our friendly customer service team to find out more or to discuss your fleet maintenance needs. We are here to help you, should you need us in an emergency - we cover all UK breakdowns as part of a national breakdown service. Based in the centre of the country in the east midlands, just off J28 of the M1 our van and truck service centre is ideally placed to service your fleet of vehicles. Trained to the highest standards with many years experience our truck and van technicians are available to service, maintain and repair your vehicles on a one-off or permanent basis. If you are looking for more information on our breakdown or truck maintenance service please complete to form below.